Larry James Baribeau was called home by his Lord and Savior on Sunday, April 07, 2019 at the age of 77, while being surrounded by his loving family at St. Mary's Hospital Mayo in Rochester, MN. Larry was born on May 01, 1941 in Ladysmith, WI to Raymond and Molly (Schott) Baribeau, Sr. After moving a few times as a young boy, he graduated high school in Rice Lake, WI. He moved to attend the University of Wisconsin Madison majoring in Pre-med. Two years later, he left school temporarily to work and earn money to help further his education, at which time he was drafted into the Army. While home on a short leave after completing basic training, his older brother Ray and friends convinced him to go out for a night on the town where a pretty young lady with a simple request to dance (mind you, a dancer, he was not) led to a lifelong dance with his forever soulmate. With the conclusion of his leave, he returned to his Army post attending Command School and becoming Battalion Leader. A simple injury led to his Honorable discharge after 2 years of service. He returned home choosing to attend The University of Wisconsin Eau Claire to be closer to his sweetheart. He earned his Bachelors of Science in Communication Disorders and Special Education. He married Camille Victoria Hartl on July 31, 1965 at St. Joseph Catholic Church in Rice Lake, WI. He continued his education at UW Eau Claire earning his Masters of Science in both Speech and Language Pathology and Audiology. After graduation, Larry and Camille started their family and were blessed with a daughter. He started his formal career working for the Eau Claire Public School District making a huge difference in many young lives. He was later approached to work for The Tomah Rehabilitation Center where he started and directed the first private outpatient rehab in Wisconsin for speech, language, and hearing. During this time, he and his wife expanded their family with two incredible sons. After many wonderful years, he took a position at the Tomah VA as the head of their Audiology Department, yet he continued practicing in many local nursing homes, hospitals, and schools. Due to health conditions, it was advised that Larry retire from the VA after nearly 25 years. Many would say he was busier during retirement than he was during his profession. He served as Grand Knight and Faithful Navigator, received The Medallion Award, and was a member of the honor guard. Larry was also a very active member of The Knights of Columbus for 60 years. Because of his strong civic commitment to his community, Larry served many through his involvement in the Police and Fire Commission since 2007, serving as President and Chairman since 2014. 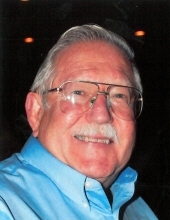 He served many years as a Board Member and Chairman for Tomah Handishop Industries. Larry enjoyed his many roles on the Area Community Theater Board. He worked with Special Olympics and continuously remained involved in church organizations and activities. He served on the TIF District Advisory Board for the City of Tomah as a representative for the public at large. Larry enjoyed his role as a bus aide and substitute teacher for the Tomah School District. Even with his many responsibilities, he spent as much time as possible pursuing his passions. Larry loved interacting with his many tenants, and took pride in maintaining his properties. He was a skilled wood worker and a tool-a-holic! His home was filled with his numerous eclectic collections of elephants, angels, wood carvings, toy tractors, baseball caps, lighthouses, and kitchen gadgets. Larry loved to read, especially while enjoying a Snickers candy bar. However, his favorite passion was to acquire and share his many antique International Harvester tractors many of which friends and family drove in The 4th of July and Cranfest parades. Although he enjoyed MANY things, above all, nothing meant more to him than his friends and family. He always looked forward to morning coffee with the guys and to Friday night dinner and fish fry, and planning a night with friends who were also widows and widowers alike. They were such an amazing support to each other. His family meant EVERYTHING to him! He loved them unconditionally and beyond measure. He was always such a devoted and doting Dad and a very proud Grandpa. He was a man with a gentle congeniality and exhibited a warm receptive personality. His intelligence and humor touched the lives of everyone he encountered. He would always take time to listen and offer assistance when needed or asked, Larry was truly one-of-a-kind! Larry is survived by his three children, Michelle (John) Lindeen of Green Bay; Jason (Jenny) Baribeau of Clintonville; and Andrew (Laura) Baribeau of Tomah; and four grandchildren, Logan, Blaine, Jasmine, and Jaxson. He is also survived by his sister, Clara Jean, brother, Raymond Jr., and twin brother, Jerry. He was preceded in death by his beautiful and loving wife, Camille, his father, Raymond Sr., his brother, George, his mother, Molly, and sister, Joy. "Email Address" would like to share the life celebration of Larry J. Baribeau. Click on the "link" to go to share a favorite memory or leave a condolence message for the family.